Which is better: SEO or PPC? This is a question we’re often asked. Unfortunately, there’s no concrete answer. It largely depends on your new patient goals. In short, search engine optimisation (SEO) is a digital marketing strategy that focuses on long-term results. Meanwhile, pay-per-click (PPC) marketing fast-tracks new patient success through a paid advertising model. Ideally, you marry the two to build a short- and long-term marketing strategy. But that’s a simplified answer. Learn below how we arrived at this conclusion. Credibility: Showing up high in search results helps establish trust, giving you a positive branding benefit. Return on investment: While SEO takes time and resources, success brings exceptional ROI. Unlike paid forms of advertising, you don’t pay to rank organically. Sustainability: Organic traffic doesn’t dry up the moment you stop paying. 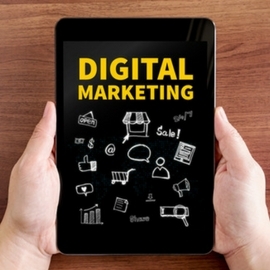 If you want to scale back your marketing budget, SEO can keep your practice sustainable. Website traffic: Google is, by far, the number-one source of new patients. Our numbers prove it. Based on our data, more than 90% of Smile Marketing clients’ patients come from organic searches. Scope: Google processes tens of thousands of search queries every second. Someone could be searching for a cosmetic dentist. Or they’d like to know the process for getting a root canal. SEO marketing gives you visibility to people looking for every possible dental procedure. Now, SEO isn’t all sunshine and rainbows. Despite what many sales-hungry consultants would have you believe, visibility in organic search is not quick or easy. But that’s not necessarily a bad thing. After all, if you have the discipline and perseverance to rise to the top, your competition must do the same thing. When you hit the mark, you can gain a sustainable marketing plan that produces a flood of new patients. Pay-per-click (PPC) advertising, like Google AdWords, is different from SEO in that you pay for visibility. 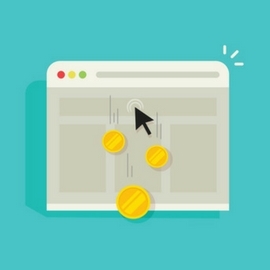 Hence the name “pay-per-click,” you pay a small fee each time someone clicks on your ad. Positioning: Paid search dominates “above-the-fold” content. With three to four ads showing at the top of Google, a user sees paid search ads before they see anything else. Targeting: AdWords gives you laser-focused targeting options to get in front of prospective patients. You can target by keywords, geography, device, time of day, and more. Speed: Developing a productive SEO strategy that delivers results can take time. PPC gives you instant visibility in Google, so you can start converting new patients the moment you activate your campaigns. Stability: You have complete control over your budget; therefore, if you want to ramp up new patient growth you can adjust your budget accordingly. Google’s ranking algorithms can be turbulent. So if you have an SEO provider that doesn’t know what they’re doing, you could lose stability. Branding: Paid search ads get your practice seen by the right people. Much of branding is subconscious (as proved by numerous studies). PPC gives prospective patients another way to see your brand. A/B testing: Paid search allows you to test your landing pages, call-to-action buttons, and the keywords you want to target. You can take that data and roll it into your SEO plan. PPC can be very profitable, but only if it’s done right. Dentists who take the task on their own overwhelmingly fail. Dentists who hire PPC providers that don’t have proven experience serving dentists, also, overwhelmingly fail. Successful PPC campaigns require skilled optimisation and management – everything from monitoring bids to positioning and click-through rates. Side note: Despite the hip new trend that is social media advertising, our data overwhelmingly suggests that Google is the preferred advertising channel for dentists. So, again, is SEO or PPC better? It depends. Regardless, if you have a website it needs to be optimised for search engines. If you have modest new patient goals and are located in a low-competition jurisdiction, then you might be able to get away with just doing some local SEO. If you have mid to high new patient goals, and you want to expedite new patient growth, you should add PPC to your marketing arsenal. You get added exposure on Google’s search results, as you will have visibility in the paid and organic areas of search (three areas if your Google My Business listings are optimised). You have double the data to analyse, which allows you to determine which keywords provide the highest new patient conversion. There is, however, a challenge: Finding a website service that can effectively link your SEO and PPC campaigns – and one that specialises in the dental field. The challenge is that providers that exclusively work with PPC don’t have access to your website. Therefore, they can’t harmonise your SEO and PPC strategy. 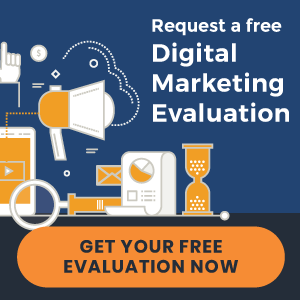 Consider hiring a digital marketing service that houses all your marketing initiatives under one roof. This will deliver the short- and long-term new patient results to build a thriving practice. All in all, PPC and SEO is a match made in marketing heaven. Just choose your provider wisely.